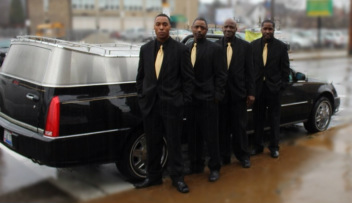 Description: At Eric J. Williams Funeral Homes, we are dedicated to providing care, commitment, and dedication to the deceased while exceeding Family and Friends expectations together Upscale and Personal. We commit to offering services with the highest levels of customer satisfaction & we will do everything we can to meet your xpectation.With a variety of offerings to choose from, we're sure you'll be happy working with us. Eric J.Williams Funeral Homes is positioned as a cost effective, reliable, hospitable solution to the current and future needs of the death care industry. Along with its subsidiaries, it will be the pinnacle in current economic situations, consistent help, and ease of reliability, supported by a committed staff. This will enable funeral service consumers previously cautious of over spending and being taken advantage of to do so with ease and comfort.